Sie sind hier: Neue Mitte > Außenpolitik > EU & Euro > Freedom for Palestine! This letter is intended as an initial step to discuss and eventually organize further commune steps – please feel cordially invited to contact us and me personally any time. Please accept my gratefulness for your time as well as any effort, your organization may contribute to our commune goals. 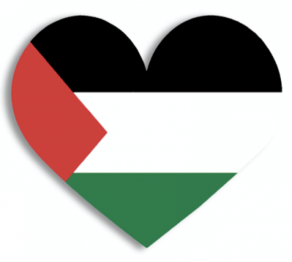 NEW CENTER’s and Christoph Hörstel’s goal in Palestine is a one-state solution based on a fair and free democratic vote including all Palestinians under full rights to return. The result is being expected as an undivided Palestinian rule over all of Palestine. Steps towards this solution, as the two-state solution, are very welcome. In any case, all Jews have the right to dignity, well-being and harm-free, oppression-free life in Palestine – all those rights, which the Zionists are not granting the Palestinian people today.